Tetrosyl aims to provide products which make it easier for you to travel anywhere in the comfort of your own vehicle. Rockland products can help with the everyday journey to work, with a great range of in-vehicle chargers, just in case you forgot to put your phone on charge. Equip products can make travelling long distances easy, with its extensive range of roof boxes and roof bars, so you can take everything you need when going on your holidays.  Autocare then brings all the little things you may need on any long journey or on your driving holidays, with jump leads, tow ropes or just simple beam benders, if you are thinking about driving on the opposite side of the road on your trip.